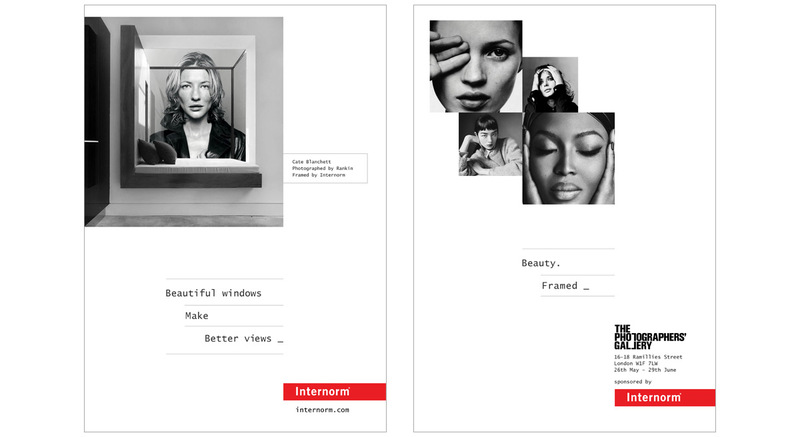 Interform windows • advertising campaign and sponsorship materials. Jonathan Wilcock, Freelance Copywriter. High-end, bespoke windows aimed at the architectural market. Trade press advertising and exhibition sponsorship marketing materials. Responsible for: concept, copywriting and art direction. 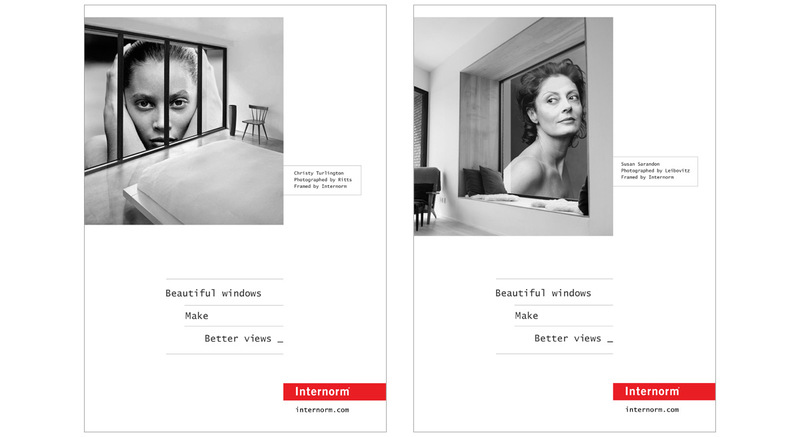 Internorm is the world’s largest window brand. The company began life as a small, family-run locksmiths 87 years ago and now has 1,850 employees and distribution across 21 countries. Manufactured in Austria, Internorm specialises in hi-spec, bespoke windows, doors and large-scale glazing for modern domestic architectural builds. The brand is known for pioneering new technologies and the highest production standards. With modern minimalist architecture, windows are often a major, dramatic feature. Internorm works with architects and ambitious private home-build clients, to design and manufacture stunning windows to any size or specification. This campaign features beauty and fashion photography from some of the world’s greatest photographers, such as Herb Ritts, Annie Leibovitz, Steven Meisel and Rankin. Minimalist art direction focuses on the idea that ‘Beautiful windows make better views’. Instead of the usual external imagery of buildings, the campaign demonstrates, with a bit of artistic licence, how a view of the outside world becomes even more beautiful when it is framed properly. Full page and strip ads appear in international architectural magazines and run alongside a sponsored exhibition of iconic fashion and beauty photography. Guests to private view events include famous names from the fashion and media industry, along with high profile architects and industry buyers. Concept, copywriting and art direction.